Last week the title, tracklist, and release date of To Pimp A Butterfly, Kendrick Lamar’s hotly anticipated follow-up to 2012’s Good Kid… M.A.A.D. City, were all unveiled. 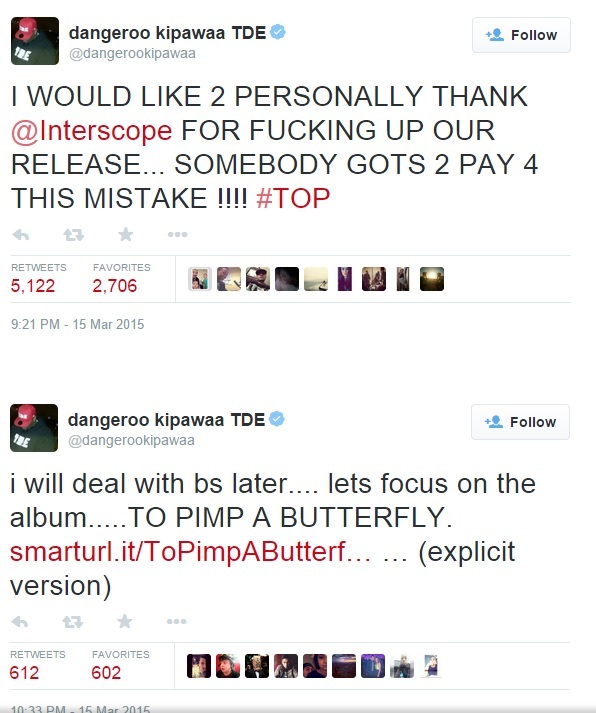 And although To Pimp A Butterfly was scheduled for a March 23 release, late Sunday night Lamar tweeted a link to iTunes that allowed fans to buy a clean version of the album. Shortly thereafter, the unedited, explicit version became available for download, with the album appearing on Spotify shortly after that. But while this may seem like yet another surprise album release from a high-profile artist, Anthony Tiffith of Top Dawg Entertainment—which represents Lamar—tweeted that the album’s release was, in fact, the record label’s mistake. As of now To Pimp A Butterfly has been pulled from iTunes, with only the album’s first single, “The Blacker The Berry,” available for download. The record is still up on Spotify, however. Those looking to hear the album before March 23 may want to hurry, however, in case that stream ends up getting pulled too. 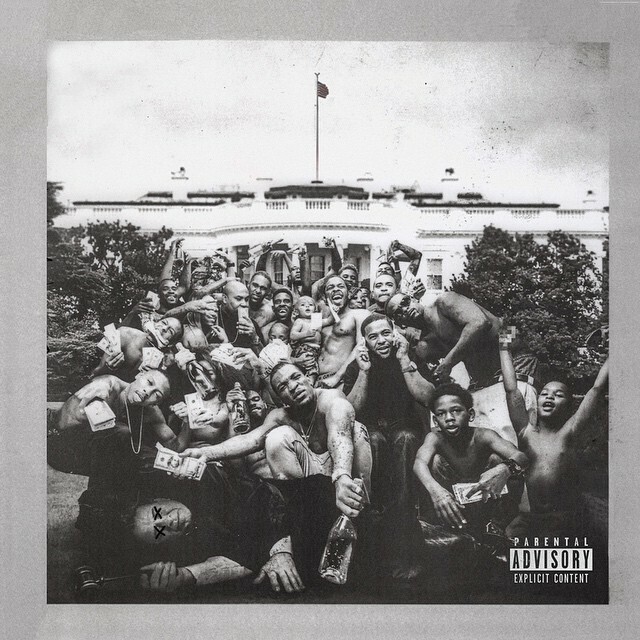 This entry was posted in Album and tagged album, compton, hip hop, Interscope, iTunes, K.Dot, Kendrick Lamar, leaked, rapper, Spotify, To Pimp A Butterfly, top dawg entertainment. Bookmark the permalink.